Gary W. Phillips was born in Pampa, Texas in 1949. He is a graduate of West Texas A&M University in Canyon, Texas with a Bachelors Degree in Business Administration. 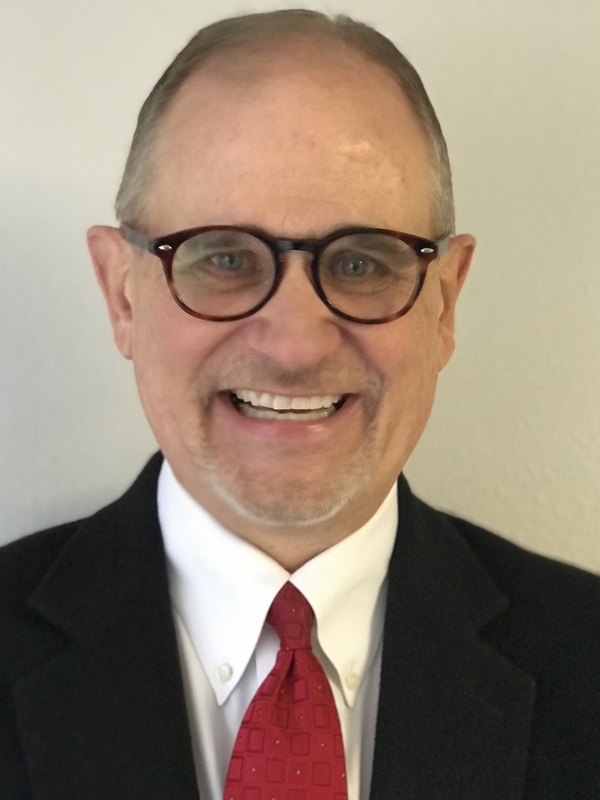 Gary has been active in both for-profit and non-profit companies for the past forty years, holding titles of CEO, COO, President, VP of Sales/Marketing, and Executive Pastor. He has taught the principles contained in his first book (ManUp Gentlemen) to hundreds if not thousands of men over the past decades. He has been happily married to Teresa Mertel Phillips for 47 years. From his earliest years, he was taught how to be a gentleman and how to properly treat people with respect and love. Gary and Teresa have two children, Tarrah (husband Jimmy) and John (wife Jennifer), and ten awesome grandchildren. 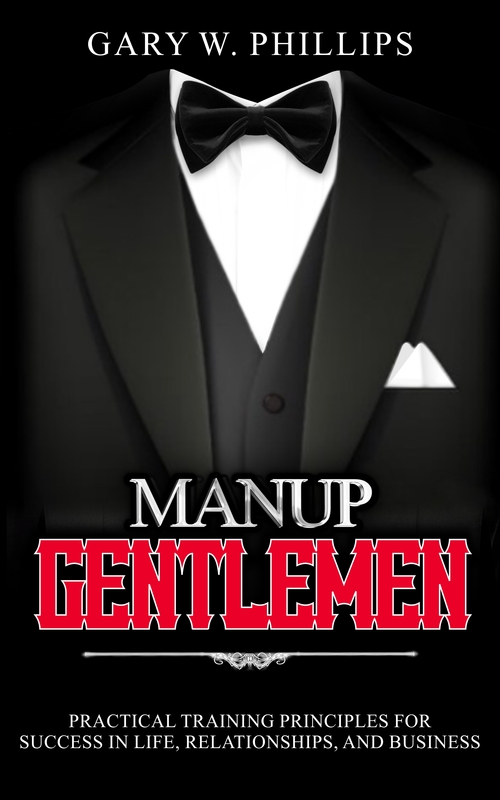 ManUp Gentlemen is a primer on training young men to be gentlemen. With principles that are organized and simple to learn, this book is a road map for parents, teachers, and care givers as they invest in the lives of young men. 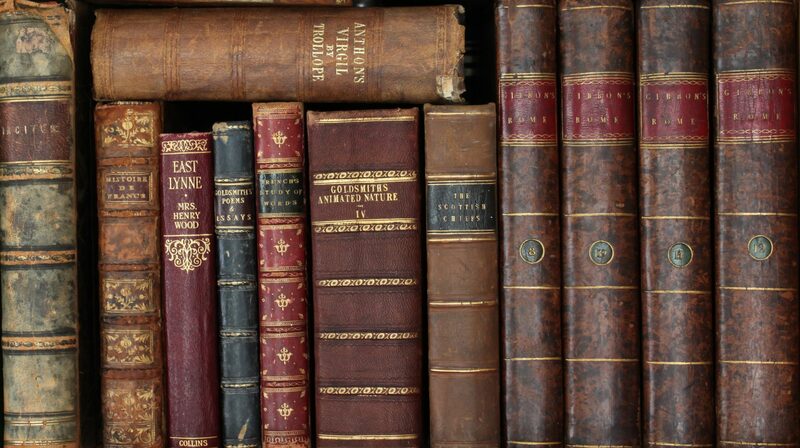 And many more topics of training. 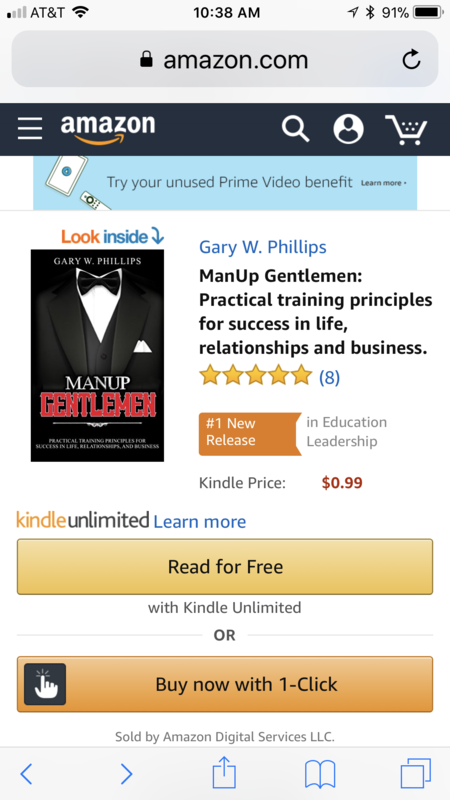 “Gary has created a field guide for every young man. 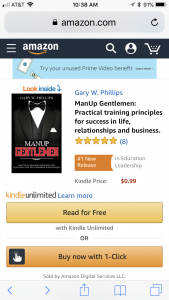 From the most practical to developing the heart of a true man, Gary covers all the bases, proving solid, timely advice on living like a gentleman. It should be on the gift list for every graduate.” Billy Taylor, President, Worship House, Inc.
Gary adds personal anecdotes in each chapter about his life experiences that are entertaining and help drive home the principles. 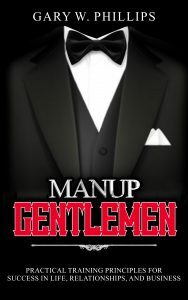 Training young men to “manup” will help them be brave and tough enough to deal with any situation.